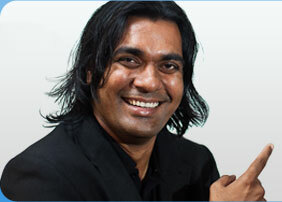 Anurag Dod is the CEO and founder of Guruji.com, the latest India-based search engine. Recently, Guruji secured an investment of $7 million from Sequoia Capital, the same investors who backed Google.com. Anurag has more than years of extensive software engineering experience, including key contributions to two successful startups. As an engineering manager in Wisenut Search Engine, he was instrumental in developing its core search technology and has a patent pending for that. Wisenut was acquired by LookSmart in 2002. He also held senior engineering positions in eBay, Synopsis and Delsoft. Anurag holds BTech in eclectrical engineering from IIT Delhi and a Masters in computer science from the University of Michigan, Ann Arbor. In this interview, Anurag explains the need for a local search engine like Guruji and how it plans to take on the might of Google. Did you know that Oct 17th is an important day? On this day six years ago, e-commerce in India was redefined. We talk about this as well as cyber laws when we hear from Na.Vijayashankar, popularly known as Naavi, an e-business consultant based in Chennai and an acknowledged expert in the field of Cyber Laws. Naavi is also a visiting guest on the faculty of the School of Excellence, Dr. Ambedkar Law University, Chennai, in addition to his involvement in the training of Tamil Nadu Police in Cyber Crimes and assisting the Police in Cyber Evidence Collection and Management. Naavi possesses nearly 30 years of experience in many aspects of business and a sound academic grounding. Since October 2000, he has been pursuing his own projects, including maintaining the Virtual Cyber Law College, www.cyberlawcollege.com and the Cyber Law information portal www.naavi.org. Cyber Law College conducts online and correspondence courses in Cyber Law and is the only such dedicated institution in India at present. It is also in the process of developing off-line franchise centers. Naavi is a member of several working groups of the Government of India involved in Information Technology-related matters. He is also a member of the Governing Council of Velammal College of Engineering and Computer Science. Kalyan Varma is an award-winning wildlife digital photographer. He is also the chief technology officer and founder of IT security company Secuprise. Kalyan caught my attention when he moved away from a lucrative position at Yahoo! India and decided to follow his passions – photography and wildlife. It’s interesting how he manages to balance his career in IT and his varied interests. Kalyan was chosen as the Wildlife Photographer of the Year in 2005 by Sanctuary Magazine. Did you know that India hosts one of the world’s largest FOSS events? Yes, that’s right. FOSS.IN, which stands for Free and Open Source Software India, is one of the world’s largest and most focused open source events. It’s held annually in India. Over the years, it has attracted thousands of participants, and the speaker roster reads like a “Who’s Who” of FOSS contributors from around the world. This year, the event, in its sixth year, will be held in Bangalore from November 24-26. In this podcast, we speak to the man who has been one of the key figures behind the event. Atul Chitnis is senior vice president of technology at Geodesic and lives in Bangalore, India. Arguably one of India’s best known technologists, Atul has been at the forefront of India’s technology evolution since the 1980s and the main force behind FOSS.in. Entreprenuership is increasingly becoming big in India. However, there aren’t many events that allow entrepreneurs to showcase the working prototypes for the world. Here comes PROTO to fill that void. In this episode, we learn more about the event that aims to bring entreprenuers, VCs and technology folks together on a single platform. It’s planned for December 9-10, 2006. The website, www.proto.in, is still under construction. The event is from the stable of The Knowlege Foundation, a non-for-profit group run by a set of very enthusiastic and passionate technology folks. One amongst them is Vijay Anand and we will be speaking with him about PROTO.